Bulk repair up to half price discount! 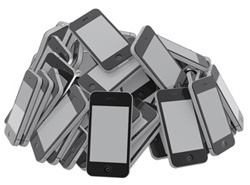 At FixSpot we do offer you bulk iPhone and iPad repairs up to 50% discounts, it depends on how many devices you have. It is a very good situation for those who work in a company or school and their main working device is iPhone or iPad or etc. So if your school or company needs bulk repairs just call or email us and let us know the counts of your devices to get your own quote. Repairing bulk devices will be take from 1 day to 3 days and it could be done in weekend as well so you can bring your broken iPhone or iPad or etc at the end of the week and we will repair them during the weekend and you will have them working properly for the next week. Our technicians are professional in repairing iPhone and iPad and you will get a 3 months warranty for your bulk services. If you bring 3 or more iPhone to repair we will give you %10 discount on the total amount. Call us on 0449057866 or Email us on Admin@fixsopot.com.au for more information.